Hymie Fagan lived through the First and Second World War. He remembers the First World War spreading “huge waves of jingoism and patriotism” (37) across the nation. Fagan paints a vivid picture of war-life, although not from the frontline, he describes what it was like living at home in London during the outbreak of the First World War. With German-hate propaganda in every newspaper, and patriotic songs and poems taught in school, war was prominent in Fagan’s childhood. He states, “Our hatred of the Germans knew no bounds” (38). His acceptance of British propaganda and the prejudices built up in Fagan where hard to escape, since the war embedded patriotism in every aspect of British life. 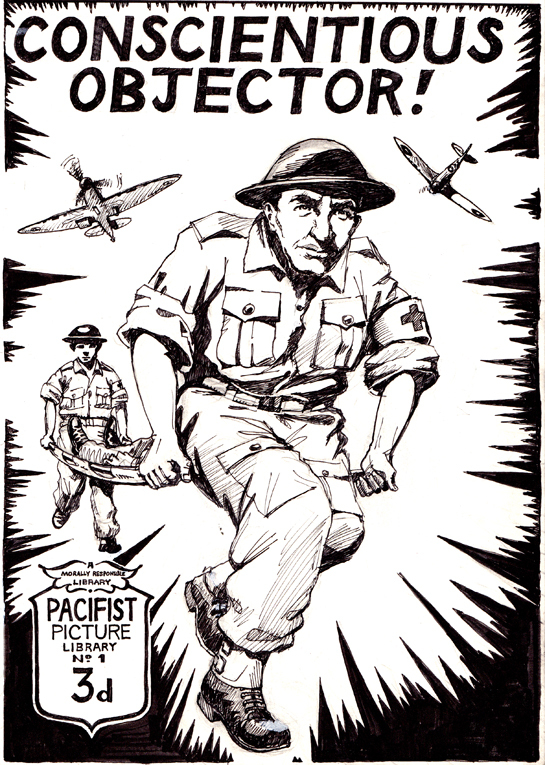 Fagan recalls his childhood comics ‘The Gem’ and ‘The Magnet’ publishing wartime stories and even generating hatred towards the Germans. Fagan was conscious over the circulation of war-time stories as he says, “Each day saw new horrors, manufactured by the press” (38). The expression and tone of Fagan’s wartime recollections is patriotic, yet critical. The influential role of the newspapers shaped Fagan’s perception of the war; he fell for the “lurid stories” (37) regarding the severity of the war. Fagan’s war time recollections provide a real sense of how war was portrayed to the public. Censorship over the newspapers enabled the media to blacken the Germans, whilst portraying the heroic status of British soldiers. He remembers the queues of men waiting outside the recruiting offices, with women on the streets holding white feathers. Fagan describes the brutality of the ‘huns’ and the outburst of spy-mania stories threatening the nation and strengthening the British hatred for the Germans. Fagan remembers Palace Hotel in Southend which was taken over as a hospital during the war to provide for French and Belgium troops. He would witness wounded soldiers entering and leaving the hotel, fascinated by their bravery. The railway station was also another interest for Fagan. He would visit the station to witness the arrival of German prisoners. He remembers “Booing and jeering as loudly and as fervently as we cheered the French and Belgian wounded at the Palace Hotel” (39). He relates the divide between the British and Germans soldiers to the cowboy and Indian movies he would watch at the cinema, stating, “This time it was filled with a deeper hatred than we felt against the Indians” (39). With the outbreak of World War Two in 1939, Fagan joined the Army in 1941. He was called up to the forces and was based in the Pioneer Corps. On joining the Armed Forces, Fagan was heavily criticised by many of his close friends. At the age of thirty-eight, Fagan had the choice to opt for work in a factory, rather than join the forces. Having fought for the Soviet Union and fascism for so long, his decision was determined. He was criticised for his decision on the grounds that many men and women had chosen the factory over the forces. The issue being that the majority knew nothing of trade unions, or the Labour Movement. He says, “I was asked, who could give them that understanding if people like me went into the forces instead of the factories” (113). Fagan was considered more useful to the factories, given he was a communist fighting in a capitalist organisation. His socialist views and experience would have provided more use to the proletarian class struggles taking place at the factories. Yet, Fagan felt strongly to joining the Army and his decision was predetermined. Fagan’s memories of World War Two are heavily based on the politics of the Armed Forces. During the war, Fagan organised a small party among the troops in order to set up an Education centre in the Army, which he successfully achieved. As a left thinker Fagan had to close the discussion group, in order for the centre to succeed. Given democracy was spreading throughout the Army, Fagan’s thinking often caused disturbances among the ranks as he petitioned for a Second Front. 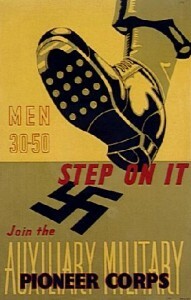 The Army Education Corps provided lectures for all ranks declaring the meaning of war and what they were fighting for. The patriotic tone of Fagan’s childhood wartime recollections differs to his experience of the Second World War. Fagan became disillusioned with the patriotic ‘pep talks’ of the army which promoted chauvinism and nationalism. Participating in the war changed Fagan’s attitude. No longer was he “fighting for freedom, to save the world from tyranny” (119) like the newspapers in his childhood promoted. Political beliefs had changed. It became a war of ideologies. 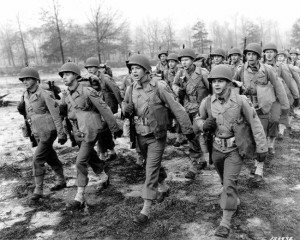 Fagan says, “there was an important difference…we were fighting fascism” (120-121). World War Two dealt with dictatorships and saw the ongoing of the holocaust. Fagan holds a very democratic outlook when speaking about the war. For him it became, “a progressive” and “a just war” (121), where fascism would cease to exist and democracy would survive.